Sanny heads off the beaten path to Glasgow’s Campsie Fells and discovers that the best rides don’t always need the best trails. What makes the perfect trail? If you were to put crayon to paper, what features would you consider an absolute must? Buff, sun-dried singletrack? Summer evening sunshine dappling through the trees? 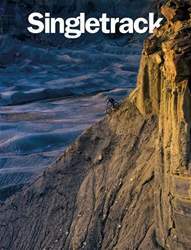 Steep and tight man-made constructions that snake down the hillside in a breathless ‘Oh ambassador, you are spoiling me’ unrelenting push for trail legend glory? Or perhaps it’s the surroundings that matter? The soaring peaks of the Alps and Dolomites that command awe and respect in equal measure? The desolate monochrome beauty of the Cairngorm plateau? Or the sound of the sea gently lapping against the shore as you spin along on your now no longer fashionable fat bike? Perfection is not an absolute, but varies as surely as the sun rises in the east and sets in the west. It all comes down to perspective. By now, you are probably wondering what the bloody hell I’m yammering on about? Well, dear reader, let me introduce you to riding in the Campsie Fells, a 20-minute drive north of Glasgow. If you have ever approached Glasgow from the south or the west en route to a midge-infested adventure, you must have seen them. At one end is the rounded lump of a volcanic plug that is Dumgoyne standing sentinel watch over all who pass beneath its flanks. In my head, every time I see it I think ‘woolly mammoth’. When it looms large through the windscreen, it is a welcome sight that I am approaching home. 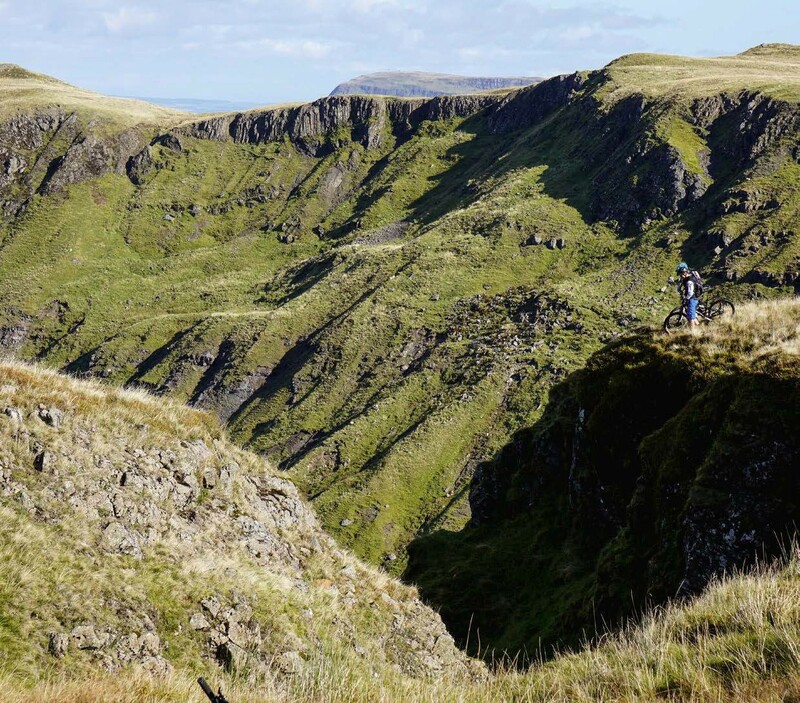 On the scale of one to trail perfection, you will never find the Campsies anywhere near one of those clickbait style ‘You won’t believe these awesome trails exist and number seven will literally make your head melt! Literally!’ top ten lists. Truth be told, they are so far off the radar of even red-socked walkers that they barely merit a mention on Google. They can kindly be described as the rounded lumps that mark the start of the Highlands. Take a wrong turn and they are an object lesson in peat bogs of despond. In the mist, they can be the Devil’s own work to navigate as trails flit in and out of existence on some strange quantum level. As for buff singletrack, fagedaboudit! And yet for all that, they keep drawing me back. Editorial: Greasing Out Chipps ponders the strange language of mountain biking. Is understanding the code the difference between being a mountain biker and just riding bikes? UK Adventure: Glasgow’s Campsie Fells Sanny seeks out some overlooked trails within a stone’s throw of Glasgow. Why does he love them so much? Column: Jason Miles Turns out that, if you ride bikes, your neighbours think you know everything about all bikes. International Adventure: Bohemian Rhapsody Tom Hutton heads to the very-accessible Czech Republic to check out the trails and trees on a three-centre bike safari. International Adventure: Kyrgyzstan Rickie Cotter warms up for the Silk Road Mountain Race with a solo trip around this remote expanse of wild unknown. Beyond The Review: In The Bag Tom Hill writes about the aged Timbuk2 messenger bag that isn’t his, it’s Jenn’s. He’s just using it for her. Classic Ride: Grate Expectations In a cheese pun-filled ride around the West Country, James Vincent takes us on a tour of the trails around Cheddar. International Adventure: You Can’t Script Adventure James McKnight and Victor Lucas get in over their heads in the Pyrenees. Turns out this bikepacking lark is more complicated than they thought. Bike Test: So Long, Huckers Our big friendly giant, Barney, gets friendly with the three longest full suspension bikes in the world. Three monsters tested, from Cotic, Geometron and Pole. 25 Years of Chipps Chipps reflects on 25 years as a bike journalist. Does he know what he’s doing yet? International Adventure: Budget Bolognese Sanny heads to Italy to experience a comfortable adventure without a painful credit card bill. Pete’s Pros: Ruaridh Cunningham Pete Scullion chases downhill legend turned neo-enduro pro Ruaridh Cunningham around the trails of Innerleithen. Last Word Adam Batty discovers that finding riding buddies can be tricky, especially when they’re not being entirely honest.